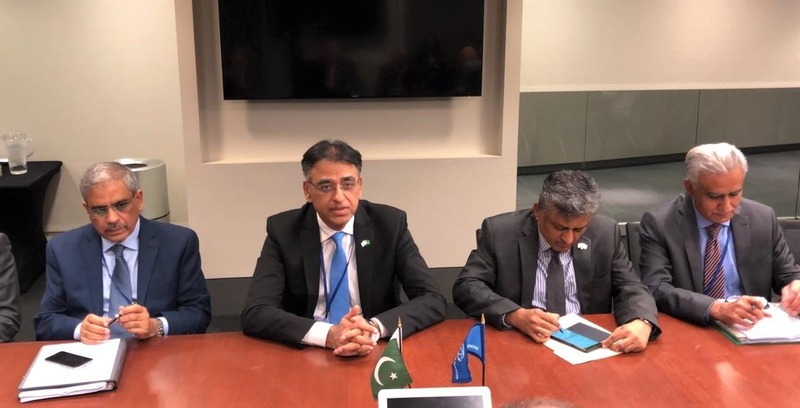 Washington: Pakistan’s delegation led by Mr. Asad Umar, Finance Minister had a second day of meetings during the IMF/WB spring meetings in Washington DC. The delegation also held a number of bilateral meetings on the sidelines. 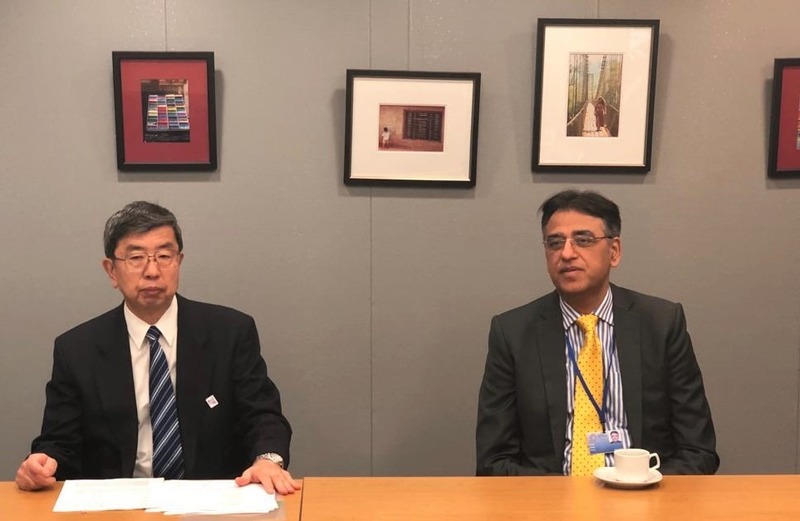 Finance Minister Asad Umar met with President Asian Development Bank Mr. Takehiko Nakao today, 11th April 2019. Finance Minister Mr. Asad Umar met with Saudi Finance Minister Mohammad Al-Jadaan on 10th April 2019. 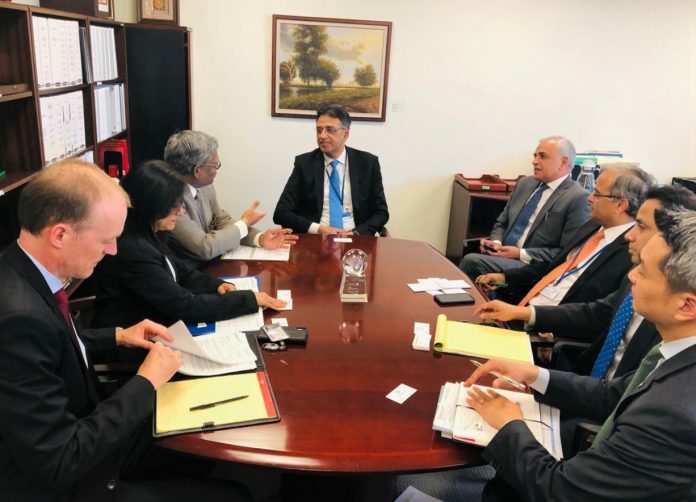 Finance Minister Mr. Asad Umar met with the World Bank team led by Mr. Hartwig Schafer, Vice President for South Asian Region on 10th April 2019. 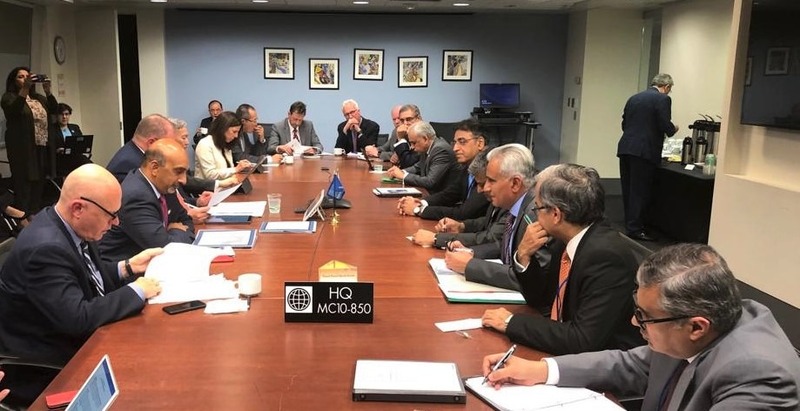 Earlier, the Finance Minister reviewed the World Bank’s Pakistan portfolio in a meeting with the World Bank team led by Mr. Hartwig Schafer, Vice President for South Asia. 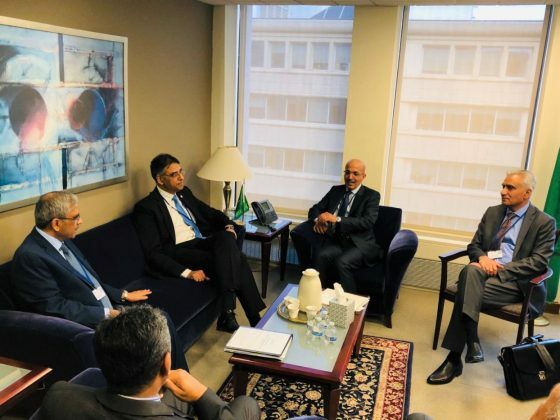 They discussed the pipeline of projects as well as the sectors where the World Bank could further scale up its interventions in Pakistan. The Finance Minister also held a meeting with a team of World Bank’s Multilateral Investment Guarantee Agency (MIGA) led by its Chief Operating Officer, Mr. Vijay Iyer, and shared views about the privatization policy of the government and the expansion of public-private partnership framework in the country. MIGA team apprised the Finance Minister of its current engagements in Pakistan. They informed that MIGA is now looking to expand its portfolio in the country. The Finance Minister also held a meeting with his Saudi counterpart, Mr. Mohammed Al-jadaan. 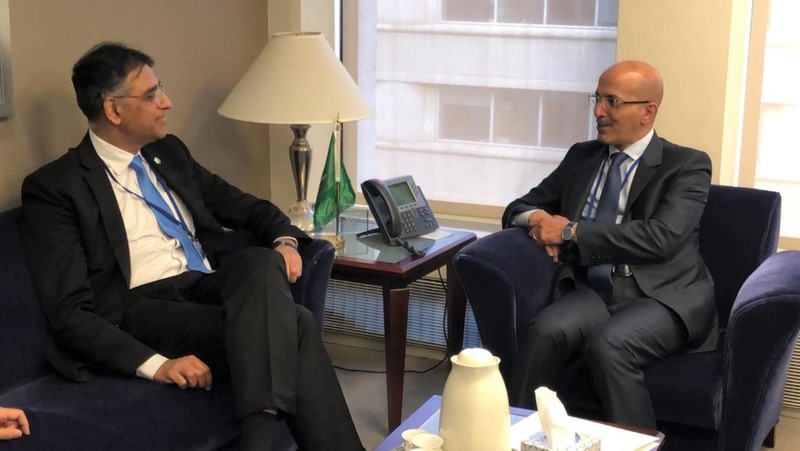 Mr. Al-jadaan apprised the Finance Minister of increasing growth momentum of the Saudi economy and potential employment opportunities for Pakistani construction workers in Saudi Arabia.